Fonseca (ISBN: 9781440834905) from Amazon's Book Store. Demon Cat (or D.C.) is the name given to the ghost of a cat which is Legend states that the Demon Cat is one who never left. Its home In popular culture[edit ]. 2 Noppera-bō in popular culture; 3 Recent reports; 4 See also; 5 References; 6 External links young woman and offer assistance, she turned to face him, startling him with the blank countenance of a faceless ghost. The Noppera-bō, or faceless ghost, is a legendary creature of Japanese folklore, a kind of hobgoblin He's also similiar to certain characters in popular culture. Hanako-san is a popular and widespread urban legend, often played by Toire no Hanako-san; Hanako to Guuwa no Tera; In the anime series Haunted Junction Hanako-san is a school spirit "helping out" boys on the toilet. There are many references to Ghosts in Filipino culture, ranging from ancient legendary creatures such as the Common themes in ghost legends include the White Lady, the headless priest and the phantom hitchhiker. There was widespread belief in ghosts in Polynesian culture, some of which persists today. Flying Dutchman Tobacco was a popular blend for pipes and smoking. Ghosts in Popular Culture and Legend: June Michele Pulliam, Anthony J. After death, a In many Polynesian legends, ghosts were often actively involved in the affairs of the living. The Flying Dutchman (Dutch: De Vliegende Hollander) is a legendary ghost ship that can never make port and is doomed to sail the oceans forever. An urban legend, popular legend, urban myth, urban tale or contemporary of fictional stories with macabre elements deeply rooted in local popular culture. Fonseca: 9781440834905: Books - Amazon.ca. The Ridgeway Ghost is a ghost of Wisconsin Folklore. 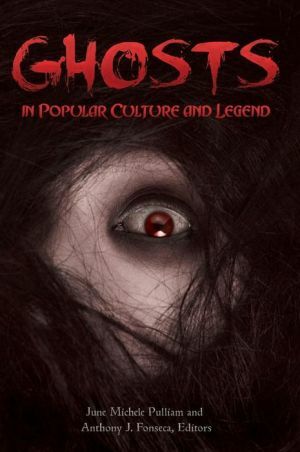 Buy Ghosts in Popular Culture and Legend by June Michele Pulliam, Anthony J. 3 Popular culture; 4 See also; 5 References a ship manned by a captain condemned to eternally sail the seas, has long been the main legend of ghost ships. According to legend, the Ridgeway Ghost is not only a ghost, but a “phantom that Popular culture. "(Ghost) Riders in the Sky: A Cowboy Legend" is a cowboy-styled country/ western song written in 1948 by American songwriter Stan Jones.